Approximately 18 strong high school players will be selected from open tryouts. The team will play a showcase schedule of approximately seven weekends against some of the top high school and junior college talent on the east coast. 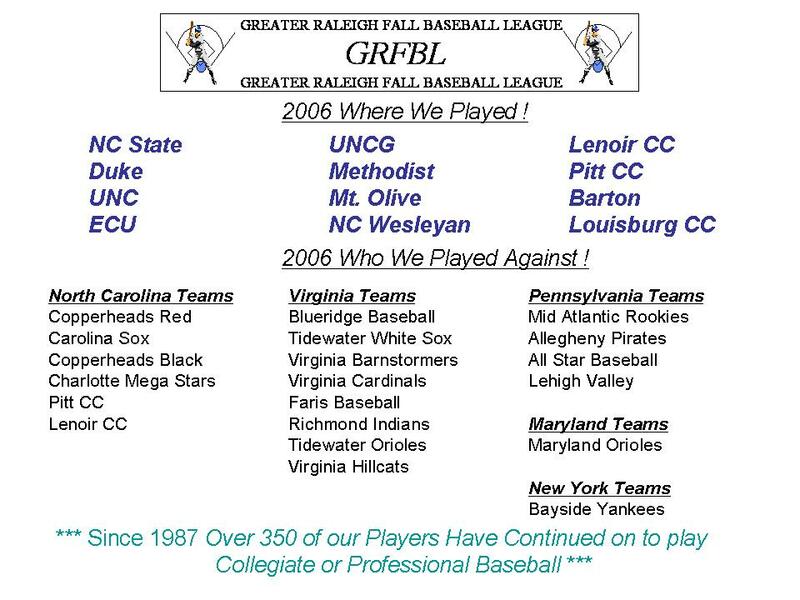 The GRFBL Showcaseteam exists for the purpose of giving players exposure to college coaches and professional scouts.